Both companies use lithium-ion batteries, but they use different metrics – megawatt vs. megawatt-hours – in their press releases. How do you compare the two and why would you need to? To understand the different metrics, you would have to know what they mean. The use of megawatts (MW) denotes the power rating of a battery – this means how fast power can charge or discharge from the battery each time. The more power that can be released during a given time, the more powerful the battery. Powerful batteries are necessary for applications such as electric cars because you want to be able to start and accelerate quickly. Utilities want to know the power rating to figure out the speed with which they can get energy delivered, said Haresh Kamath, program manager for energy storage at the Electric Power Research Institute. Megawatt-hour (MWh) refers to how much energy is stored in a battery and how much energy you can get in a given hour. This figure also is directly proportional to the physical size of the battery, Kamath noted. Electric car makers also want this type of batteries because it gives the long driving range that consumers want. Power companies also would care about the length of time they can expect to get a certain amount of energy, Kamath said. They would want to know if they can count on a battery system to bank enough solar or wind electricity and discharge it over hours to match the demand from consumers. Utilities also use MW to describe energy storage project partly out of habit, Kamath said. They are accustomed to use MW to describe the energy output of their power plants because fossil fuel power plants can generate electricity continuously. A grid-storage battery system isn’t designed to do that. The battery system is meant to be charged when a wind or solar power plant is producing energy, and it discharges energy only when needed. Battery makers, on the other hand, are more comfortable describing their products in MWh (or KWh or Wh, depending on what the batteries are for). You will see the energy figure in the tech specs for laptop or cell phone batteries, for example. It’s worth noting that the relationship between power, the time to discharge a battery and the energy it produces is Power x Time = Energy. So back to BYD and AES. It turns out, the BYD project is the largest lithium battery storage project in terms of physical size and energy capacity, but AES’s project is the most powerful lithium ion batterysystem, Kamath said. Neither is the world’s largest in either measurement though. A 34 MW project in Japan can deliver energy for 7 hours (238 MWh), and there is a project in Alaska that can deliver 46 MW of power in 5 minutes. The Japanese project uses sodium sulfur batteries while the Alaskan project uses nickel cadmium. Although the Alaskan system has shown to be more powerful, it was actually designed and guaranteed to deliver 27 megawatts over 15 minutes, said Mike Wright, vice president of transmission and distribution at the Golden Valley Electric Association, which owns the system. The utility is using the battery farm to backup fossil fuel power generation, but it plans to install a 24 MW wind farm that could use the storage as well, said Dan Bishop, manager of engineering services at Golden Valley. BYD uses its own batteries for the 36 MWh project, which has a power rating of 20 MW, said Micheal Austin, vice president of BYD America. That means the batteries can deliver 20 MW around 1 hour and 48 minutes if you do the math using the equation I mentioned above. Austin said the peak charge and discharge time for the BYD batteries is 1 hour and 45 minutes. The storage is part of a massive project by the State Grid Corporation of China to pair storage with 40 MW of wind and 40 MW of solar in Hebei Province, and State Grid intends for the BYD batteries to discharge energy over 4-6 hours, Austin said. AES’s project, meanwhile, uses batteries from A123 Systems and can deliver 32MW in 15 minutes (8 MWh). It’s co-located with a wind farm in West Virginia to provide regulation and reserve services. To your point, there a numerous metrics to consider when comparing energy storage projects, but the distinction between Megawatts and Megawatt-hours is only one of them. Other important metrics include round trip efficiency, number of charge/discharge cycles, depth of discharge, speed of charge/discharge, and operating temperature. Each application has its own requirements for the above metrics. Hence, there seems to be endless types of storage technology out there; compressed air, batteries (of which there are over 100 types), pumped hydro, flywheels, etc. 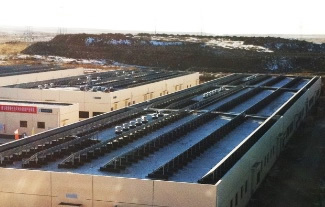 For example, Beacon Power’s flywheel storage plant in NY is 20 MW, but only provides 5 MWh of energy (up to 15 min). This technology is optimal for frequency regulation because it has a very quick discharge time (minutes rather than hours) and doesn’t degrade with deep discharges. Lithium ion batteries on the other hand are affected dramatically by both the depth and speed of discharge (cathodes get very hot and wear down).